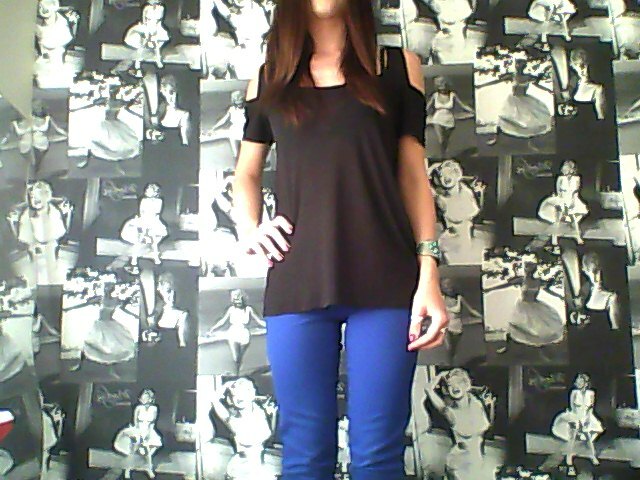 Here is yesterdays outfit. 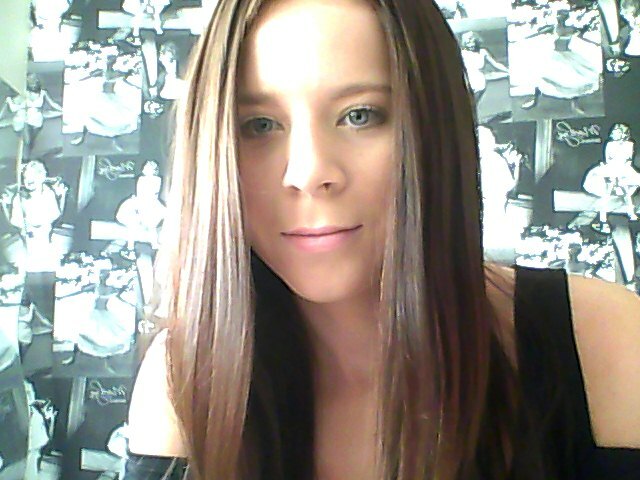 I was wearing my new open cut shoudler t-shirt that I picked up from New Look. It was a total bargain at only £6.99 & I simply love it. I teamed it with some skinny blue jeans for a pop of colour! 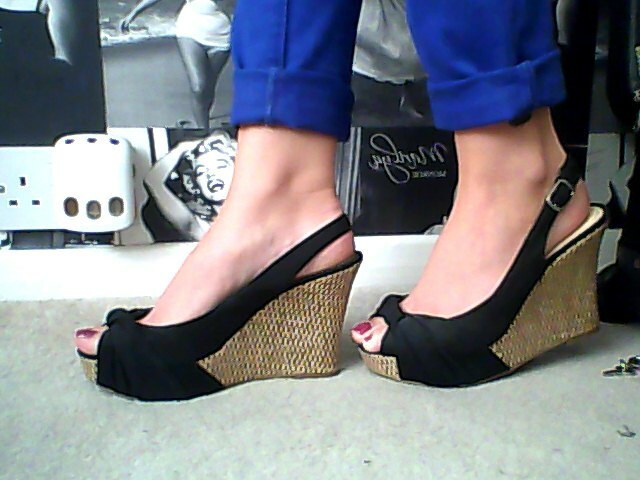 I rediscovered these cute wedges that I haven’t worn in forever! I bought them from New Look about 3 years ago now & I also have them in a coral colour. When I first bought that I just couldn’t stop wearing them so I am happy I found them again! We went to Nando’s yesterday & had a lovely meal (love that place!). I also bought a really cute & colourful scarf & gloves set from Tesco which I will post about soon!